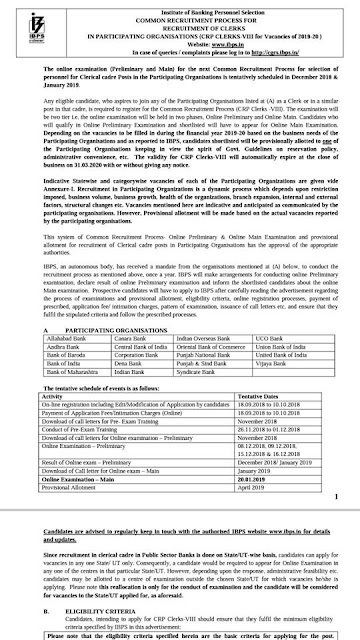 IBPS Clerk Recruitment Notification Out 2018-19. IBPS Recruitment 2018 For Clerk Post. Age Limit – Upper Age Limit Maximum 28 years. Other Age Relaxation As per Govt. Rule. Rs- 600/- for Gen/OBC Candidates. Rs. 100/- for Other Reservation Categories.